The wait is finally over! Alligator Alley is scheduled to be back in action for 2019 on Friday, February 8, and our alligators can’t wait to greet our guests. It’s been a long winter and the warmer weather has been missed by many at the swamp. As the weather heats up, our scaly friends tend to become more active and get back to basking in the sun. While alligators are most energetic when the temps sit between 82- and 92-degrees Fahrenheit, our little pals get eager when they see friendly faces touring the farm! Throughout the next several months, we’ll begin seeing more and more alligators break free from their camouflage and lounge in the sun with their friends. 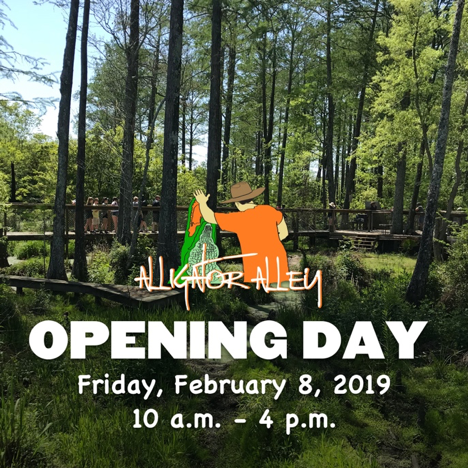 If you’ve been waiting all winter to come back for a visit to Alligator Alley, mark your calendar for Friday, February 8! We’ll be open 10 a.m. – 4 p.m. for you and your family to start a guided adventure to visit with our alligators. As you take in the view on your nature walk, continue your adventure along the elevated boardwalk to see alligators in their natural habitat along with other swamp inhabitants such as turtles, ospreys, owls and bull frogs only a couple feet away! For more details about pricing or hours, visit our website. 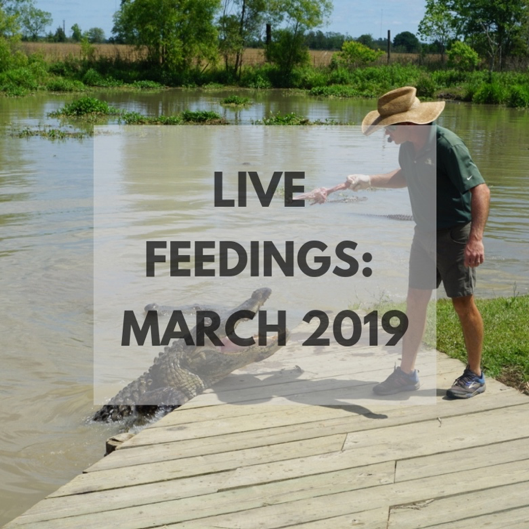 For those interested in the return of our live feeding times, they will return in early March! STAY TUNED, FOLKS!